Kelly Brennan is Head of ETF for Citadel Securities. In this role, she is responsible for the firm’s ETF trading business globally. 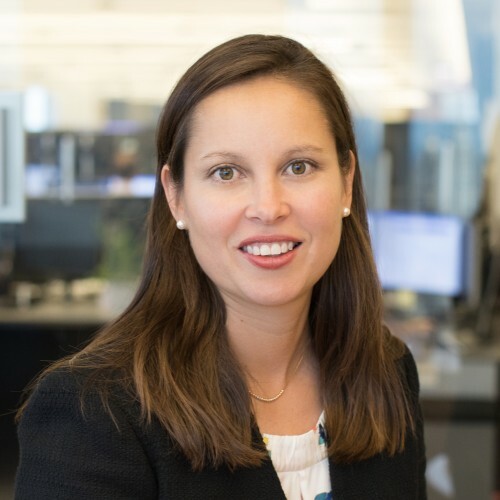 Prior to joining the firm, Ms. Brennan held a number of senior roles over the past thirteen years at Goldman Sachs, including managing teams both in Prime Brokerage and in Equities Trading. Most recently, she served at Goldman Sachs as a Managing Director and Head of U.S. ETFs. Before that, she was a Trader for Susquehanna International Group, where she was responsible for market making in options, Nasdaq stocks, and serving as a DMM in their market making operation on the New York Stock Exchange (NYSE). Ms. Brennan is Vice Chair on the Board of Directors of the Fistula Foundation, a non-profit organization that works to end the suffering caused by the childbirth injury obstetric fistula by providing surgery to as many women as possible. She is also an active member of Women in ETFs and has served as a mentor for over six years for Two Together Mentoring. Ms. Brennan received her bachelor’s degree from University of California, Berkeley.